For 1961, Chevrolet gave a boxy, downsized body to the full-size Bel Air. Like the rest of the full-size Chevys, the Bel Air now wore a falling side flash stripped of the previous three years of styling extremes. A long rear trunk was simply adorned with a small dip in the chrome trim, and the thin A- and C-pillars on the coupe made the cabin light and airy. 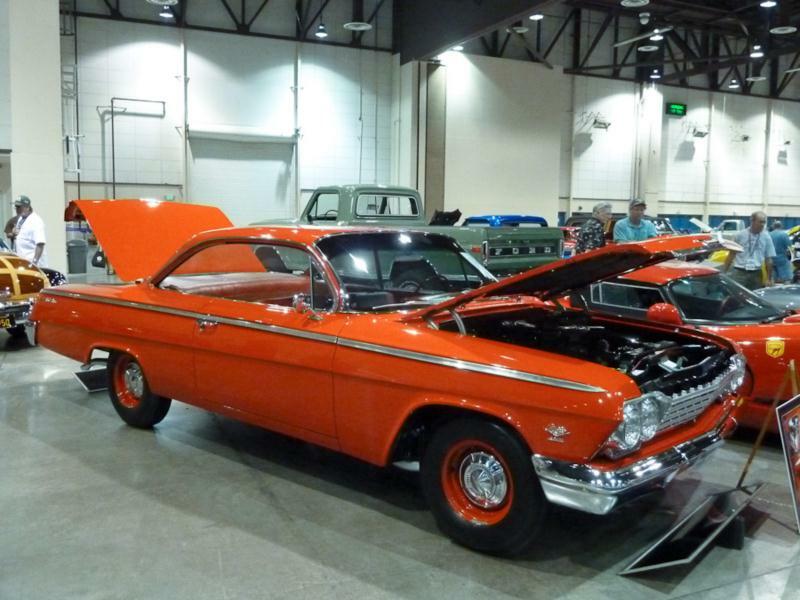 Enthusiasts often refer to the 1961 and 1962 Bel Air Sport Coupes as “bubble tops.” The Bel Air was slotted between the Impala and the Biscayne. The Bel Air line included two- and four-door sedans and hardtops, and six- and nine-passenger station wagons. Engines ranged from the 135-hp, 235-cid six-cylinder and 170-hp, 283-cid V-8, through a range of optional motors — a 230-hp, 283-cid V-8, three 348-cid big block V-8s ranging from 250 hp to 350 hp, and the 360-hp 409-cid monster. Bel Air Sport Coupes were faster than Impalas, turning quarter-mile times of 12.83 seconds with the new 409. The 1962 Chevrolets were even squarer in profile and side trim was smaller and higher. The Bel Air lineup lost its four-door hardtop this year, but the “bubble top” two-door remained popular, particularly among racers. As the Chevrolet Impala assumed the performance reigns among the full-size Chevys in 1963, the Bel Air lineup shrunk again with the removal of the coupe. Engine options remained similar, only the 283-cid and 348-cid units were replaced by the 327-cid V-8 in tunes of 250, 300 and 340 hp. Two 409-cid V-8s offered 400 and 425 hp, and the new 427-cid V-8 generated an enormous 430 hp. The two highest horsepower engines had two four-barrel carburetors. In 1964 the Bel Air acquired some plusher interior touches, but it was still limited to two sedans and two wagons. Engine options remained the same, and the car’s styling was largely left untouched. This year, a Bel Air two-door sedan cost $2,400 new. The Bel Air would grow in size in 1965, and receive all new styling, marking the start of a new generation, but not before half a million fifth generation Bel Airs were sold. This era of Bel Air is most often remembered for their Sport Coupe body style and their 409 engine, though that combination remains quite rare. Early 1960s Bel Airs can be found quite reasonably, with the exception of high-horsepower hardtops, which may not be genuine. They are simple and trouble free, and not prone to rust, though the exhaust is complicated and expensive to duplicate, and the heater fan is practically impossible to replace.